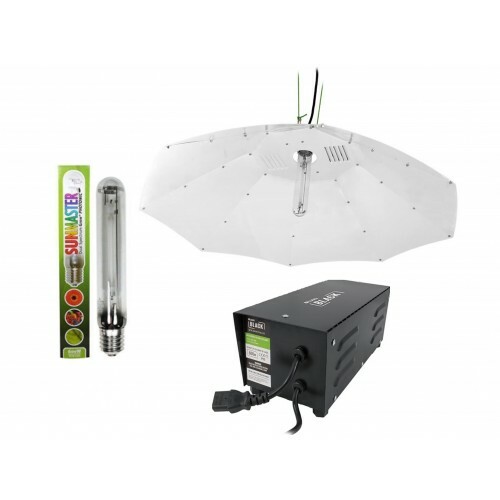 The Lumii Black 600w parabolic light kit comes complete with 600w magnetic metal ballast, sunmaster 600w dual spectrum grow lamp and large white parabolic reflector for maximising light distribution and yields. 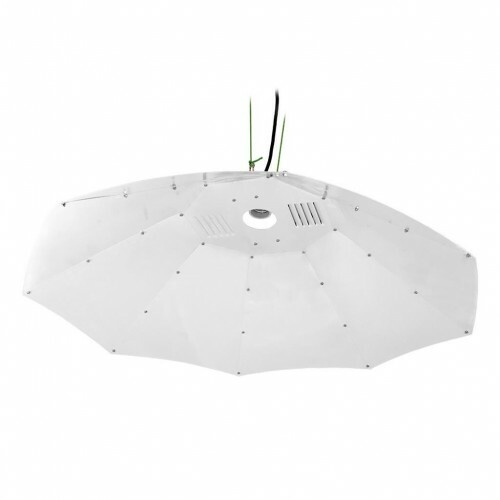 Dual spectrum lights are rapidly becoming the most popular choice among both private and commercial growers as these lighting systems work throughout their growth cycle. 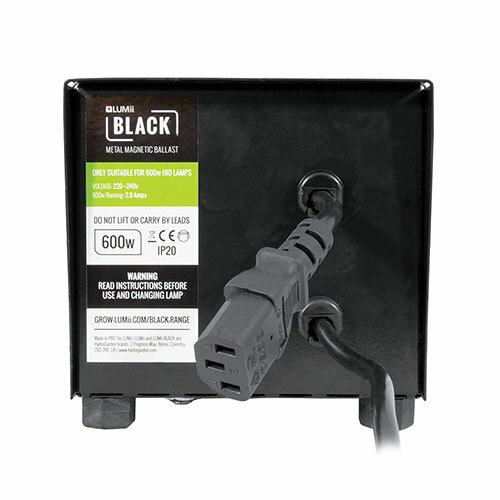 There have been nothing but raving reviews from both experienced and new gardeners.All Sunmaster grow lights are specifically designed for gardening environments and are extremely user-friendly as well as highly economical. Sunmaster Dual Spectrum Grow Lights are tailored to have an output of 90.000 lumens and have a superior active radiation range during all stages of photosynthesis and growth.